A couple of weeks ago I walked into Claire’s elementary school for one of those quickie drop something off at the office and bug out. I was preoccupied ~ not really focused on the school or the environment. I was doing my thing and trying to get in and out as quickly as possible. But I stopped dead in my tracks as Claire’s former kindergarten teacher came into view, leading her class to lunch. It was then that memories came flooding back and I saw, in my mind’s eye, images of Claire from her days at Rivers Edge Elementary. It was then, too, I realized her time there was short…it’s now her time to move on. As I stood there with my memories playing through my head, my eyes filled with tears and my throat constricted. I knew I wouldn’t have too many more times to pass through that door. Today was my sweet, baby girl’s “graduation” from elementary school and while Stanley makes fun of it for all of the pomp and circumstance, I defend it, not as a true graduation but a marking of yet another milestone in the lives of our kiddos. Today, my tears fell in earnest as I listened to the achievements and accolades each of these kids earned in their years at Rivers Edge. Today, I listened in awe as our beloved principal broke down in tears reading first a poem she wrote and then telling a story of a mother eagle pushing her kids out of their nest to go achieve what they are supposed to achieve. These are her kiddos. 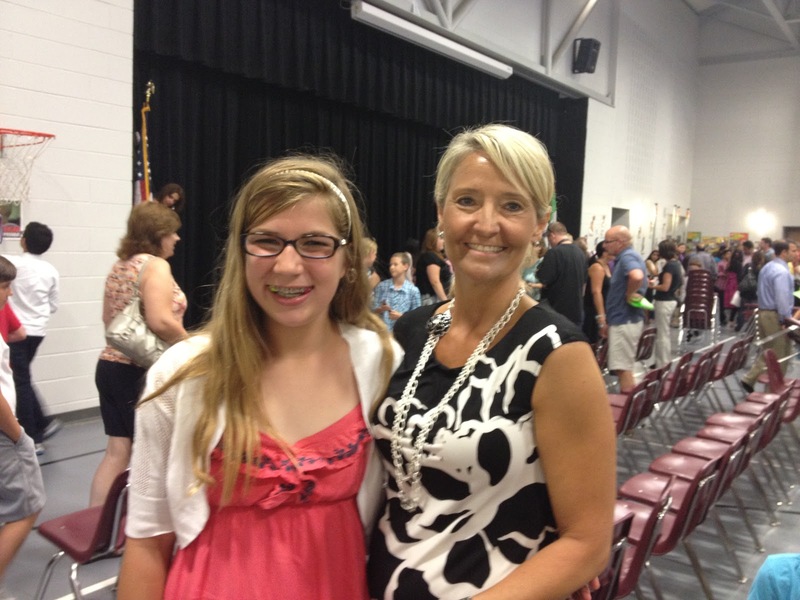 They are ones who began their elementary school journey as she began her first year as a principal. These were her group of children and she saw go from shy kindergartner to leaders of the school. And her tears fell. 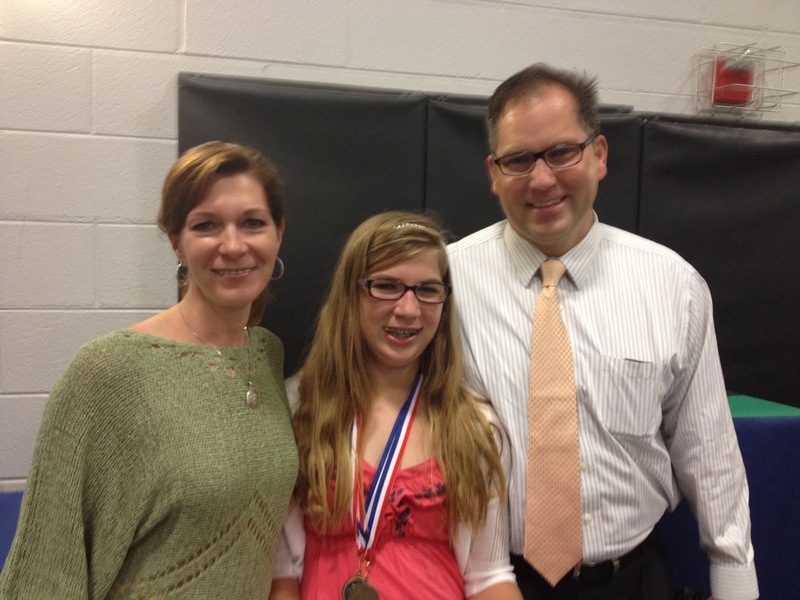 My darling girl looked so grown up and ready for the challenges of the middle school years as she received her awards and was presented with her graduation medal. But as she and her chorus sang their closing song, I saw the quiver of her chin and her tears fell. I know why. It’s her last time performing on the stage of her cherished elementary school. And as I watched her tears I flashed back to times gone by and I saw her as a kindergartner up on stage for the first time singing for the parents and my tears fell too. I know most of you know how much I adore elementary school. And today solidified, once again, why I cherish these years. All three of my kiddos were loved…they may have screwed up, goofed off, gotten into trouble but they were always loved in elementary school. I can’t believe Claire’s time at Rivers Edge is at an end…it seems like just yesterday she walked into Mrs. Ciucci’s kindergarten class where she was taught how much she was loved and respected as a student. Claire moved on to Mrs. Hodges, and first grade, where she was taught that she was terrific and magnificent and the class rule was to never hurt anyone on the inside or outside. Mrs. Bowles became Claire’s fabulous second grade teacher who taught her to love learning and challenged her to always try new and different approaches to learning everything. Third grade was the year she stepped into Mrs. Livesay’s marvelous classroom full of enthusiasm and a passion for teaching. Claire was then given the gift of Mrs. Boyer in fourth grade who continued to show these kiddos the joys of learning…excitement and energy abounded in her class. 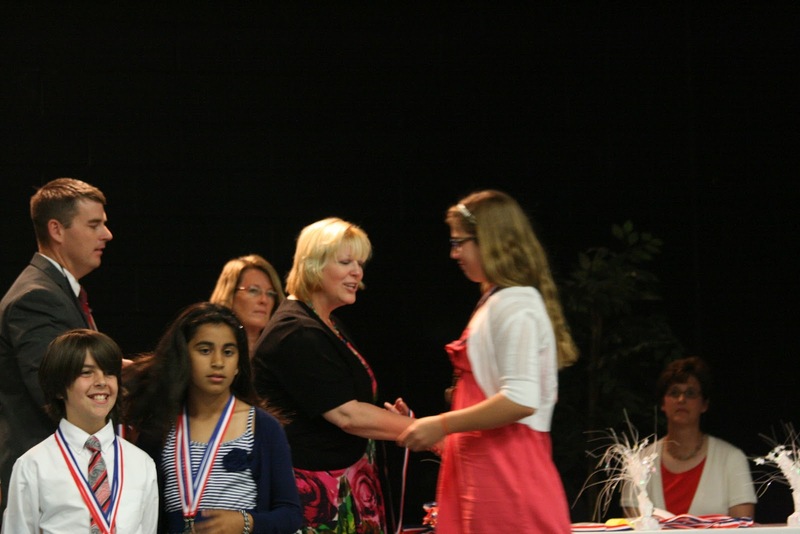 Fifth grade…what can I say? 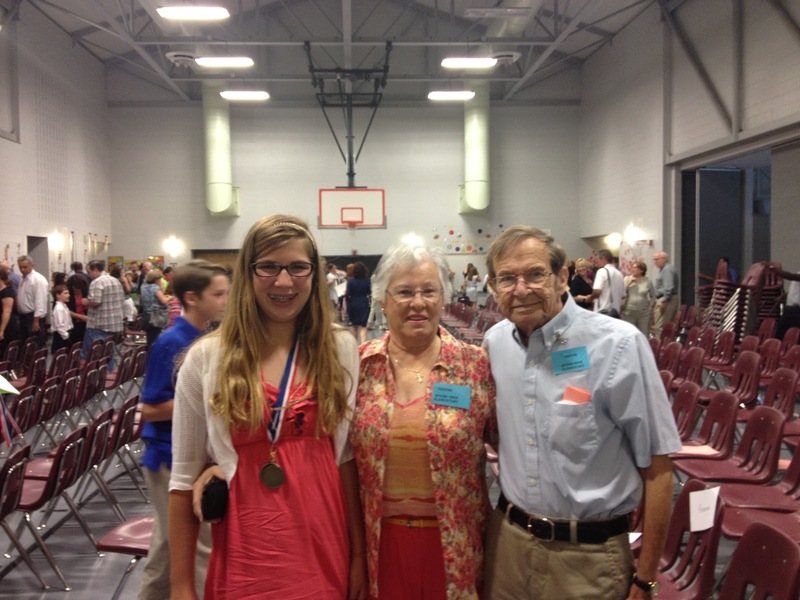 Claire, and Rivers Edge, has been blessed with the best of teachers and fifth grade was no exception. 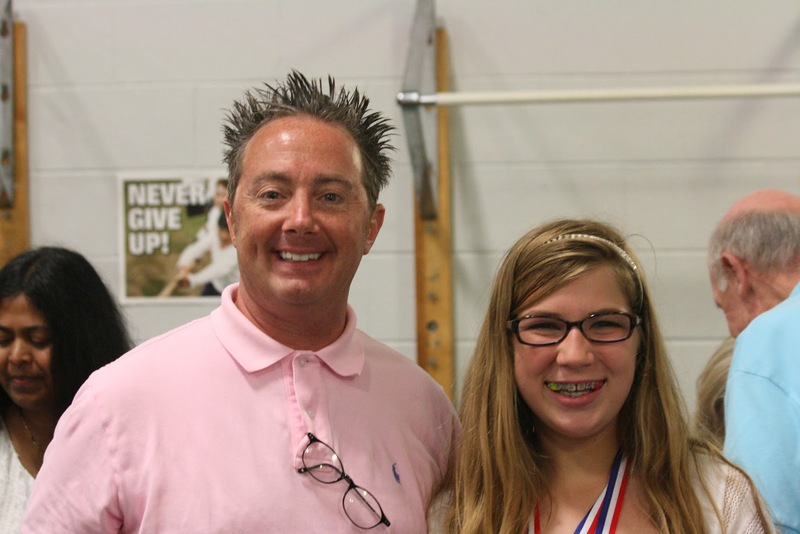 Mr. Friedman’s devotion to teaching knows no bounds and Mrs. Dussault rounded out Claire’s fifth grade experience with a joy at imparting the love of learning. She couldn’t be more blessed…and neither could we. Claire is the only one of my three to go from kindergarten to fifth grade in one school so for her, and me, this time is a little harder. The teachers who have had Zach and Lucas have also had Claire. 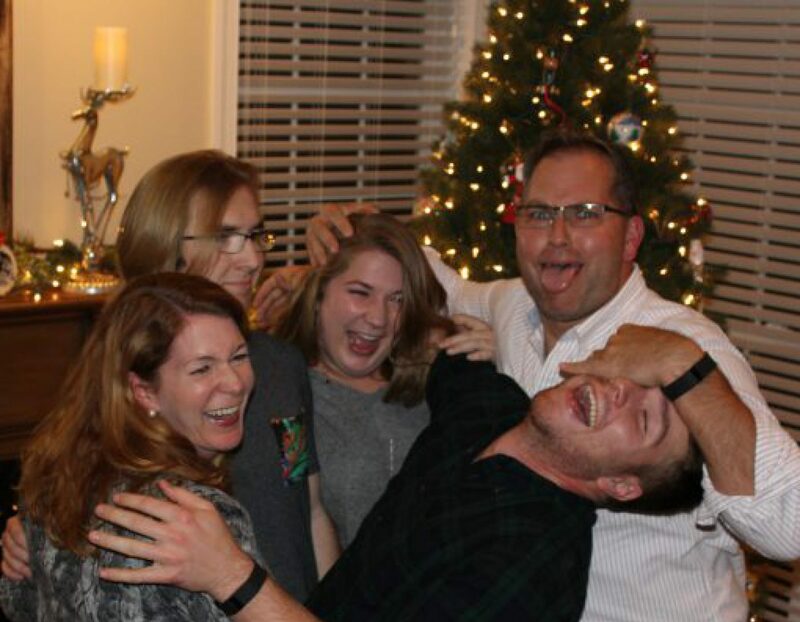 These teachers were not only my kids’ teachers they have become my friends…sharing the joys and pitfall of our journey in raising these kiddos. To all of you, know how much you are loved, appreciated and admired for all you have given not only my kids but to me as well.